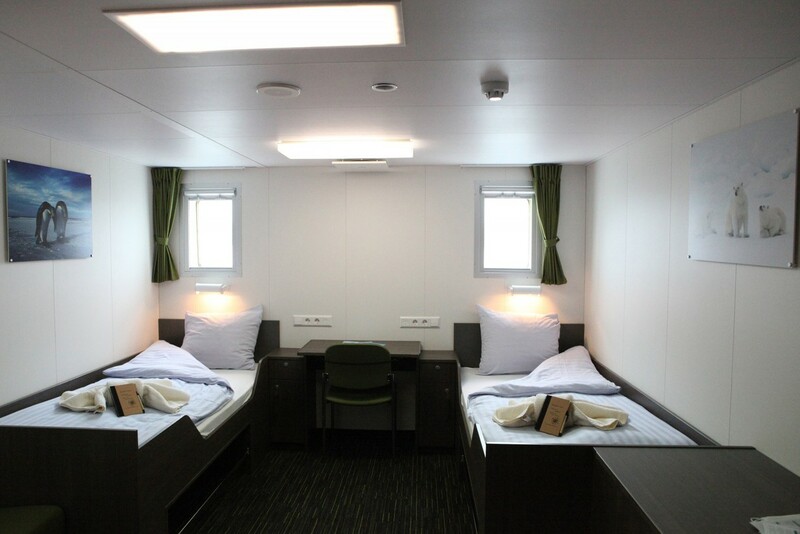 Please note: 16 Feb – 7 Mar, 2019 departure is 20 days long. 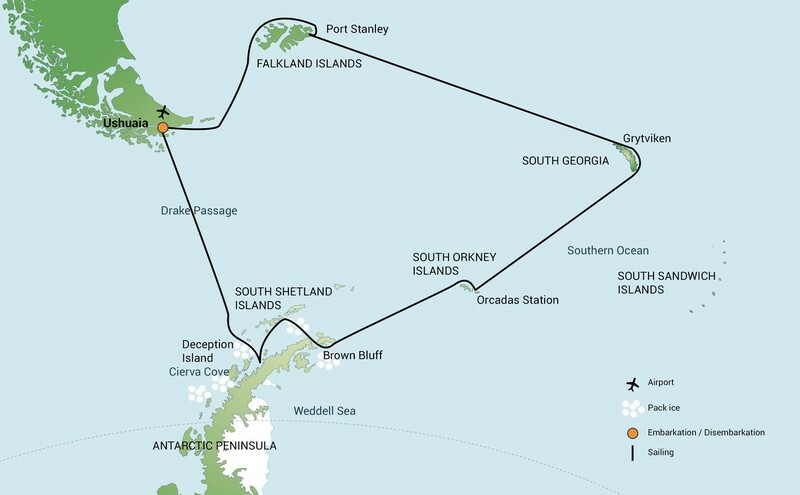 On our way to South Georgia we will cross the Antarctic Convergence. 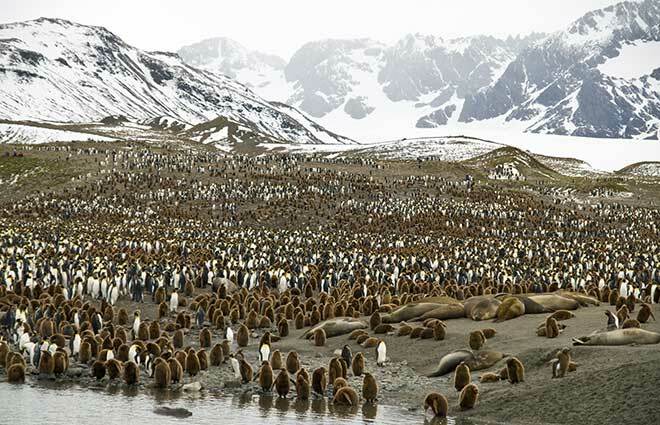 Entering Antarctic waters, the temperature will drop by as much as 10 degrees C in the time span of only a few hours. 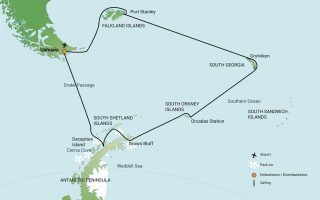 Near the Convergence we will see a multitude of southern seabirds near the ship; several species of Albatrosses, Shearwaters, Petrels, Prions and Skuas . 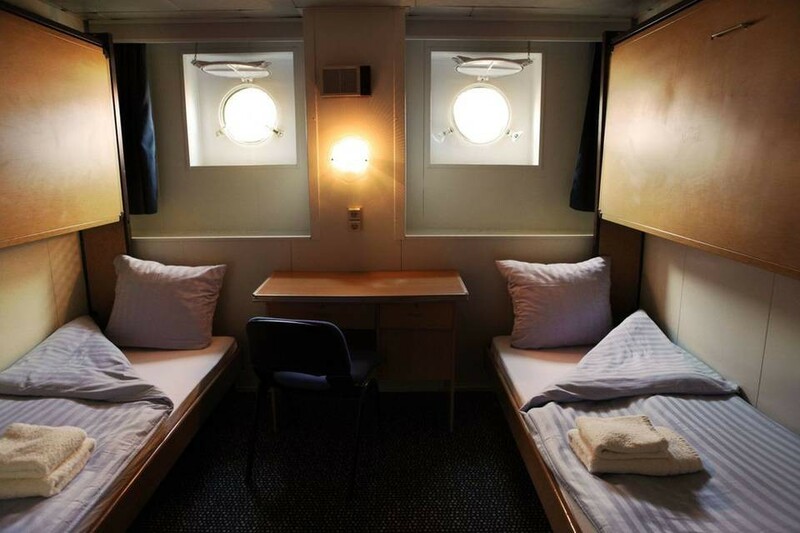 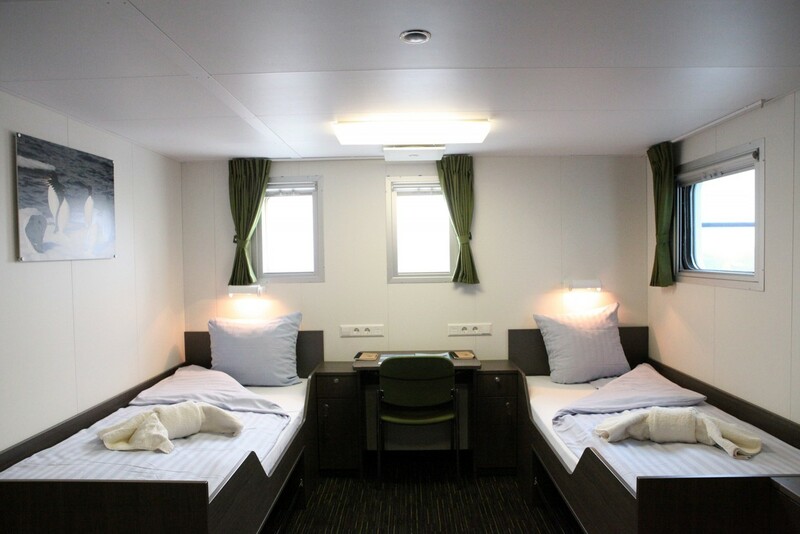 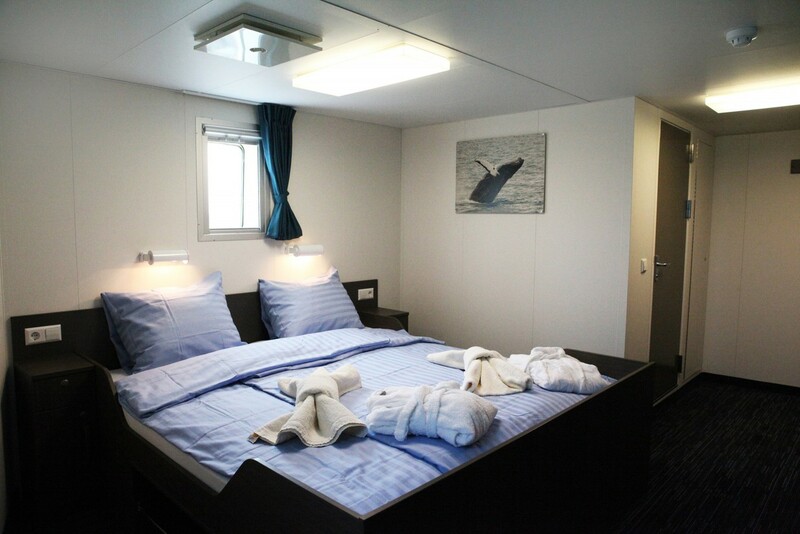 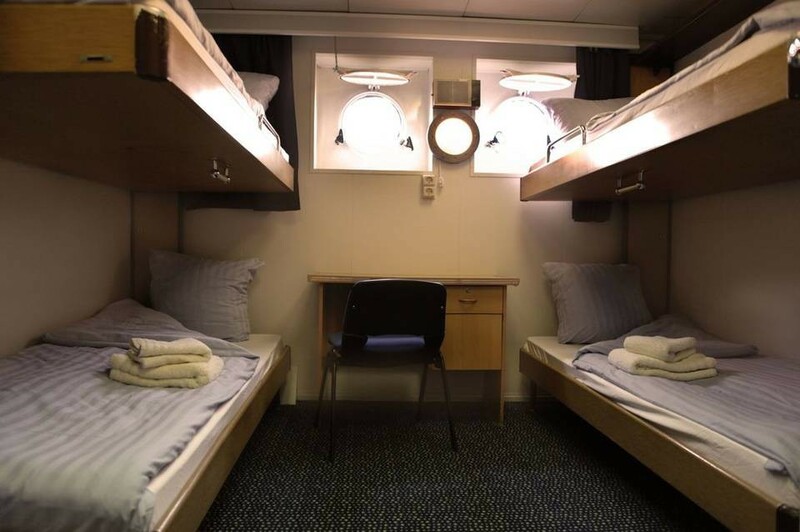 The cabin provides you with; 2 portholes, 2 upper / lower berths, private shower & toilet, desk & chair, hair dryer and ample storage space.